Savvy Spending: Amazon: Victor Allen's Caramel Macciato Medium Roast K Cups for just 24¢ each! Pay $18.99 shipped for 80 K cups! Amazon: Victor Allen's Caramel Macciato Medium Roast K Cups for just 24¢ each! Pay $18.99 shipped for 80 K cups! 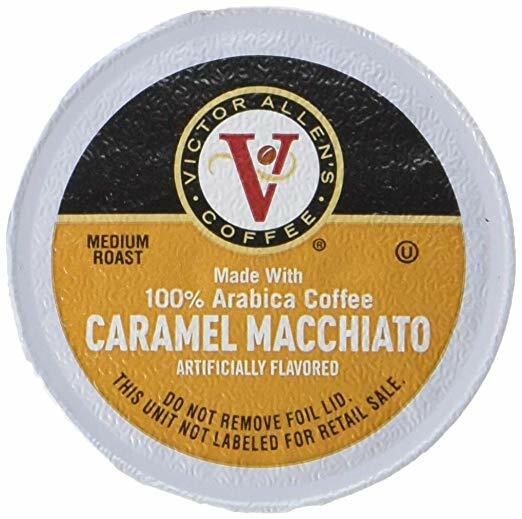 Amazon has these Victor Allen’s Coffee Caramel Macchiato Medium Roast Coffee K-Cups 80-Count for just $18.99 shipped when you opt to Subscribe & Save. That makes them only 24¢ per K-Cup delivered right to your door! With Subscribe & Save, you are under no obligation to continue with a subscription and can easily cancel with a few clicks after you receive your first order!